What does a Four Step Marketing Consultants Business Opportunity Cost? The World's Most Advanced Marketing Start-Up Business. Do you like helping people but you’re not sure if you can start a business? Consider starting a home-based digital marketing business with Four Steps Marketing Consultants. Marketing is in HIGH DEMAND and the Four Step Marketing Consultants’ program helps you learn the ropes with our systematic training approach. We’ll cover everything from website design, SEO, and mobile marketing, to building a TV commercial. But here is the KICKER – our business owners DON’T do the technical work! They simply manage their teams and run their company. When you learn the Four Step Marketing model, you’ll see how we’ve been able to help companies grow by as much as 400% using our marketing process. There is NOTHING like the feeling of helping an organization grow and getting paid handsomely to do so. Learn more today. Don't settle on your new business start-up! Start a business that instantly makes you a leader in the digital industry. We're Four Step Marketing Consultants, the WORLD's MOST ADVANCED marketing business opportunity. When we say advanced, what we mean is... High Tech Systems, Amazing Websites, Cutting Edge Tools, Unparalleled Support, and World Class Training! Yeah, it sounds like a little bit of hype, so let us clearly explain how we’re better! Just because you're new to marketing doesn't mean you have to look like it! You'll start off with FIVE DAYS of intense training and an extremely detailed set-up guide to get your business off the ground. After training, we'll work with you to get your business set-up and running! 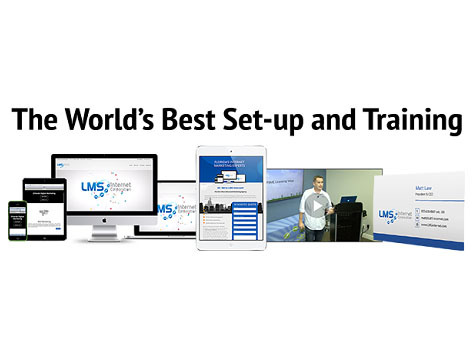 Included in the FSMC licensing program is everything you'll need to be successful. This is an A-Z training and set-up process - No Experience Required! Yes, we’ll train and support you as you go! However, with FSMC you also get the WORLD’S BEST DIGITAL MARKETING PLATFORM. Why settle for offering only websites, social media, mobile apps, or SMS marketing? With Four Step Marketing Consultants, you'll be able to provide all of these services for your clients, plus much more! 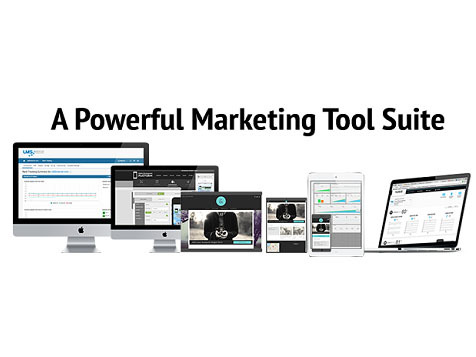 We've invested HUNDREDS of THOUSANDS of dollars into our digital marketing platform. The truth is, you simply won't find any other marketing start-up that comes close to offering this much power or value. All of these amazing tools and services are offered for use with your business and are 100% unbranded. You Can WORK from Home or Anywhere! Full Training - No Experience Required! Outsourcing Available for Technical Work! Very Attainable Six-Figure Income Potential! Absolutely ZERO Hype or High Pressure Sales! There's Only One thing Left To Do . . .